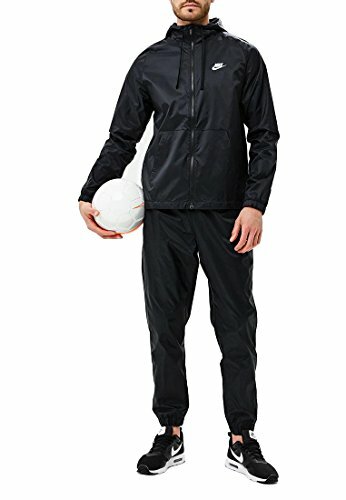 NIKE Men's Sportswear Woven Tracksuit. Water-repellent nylon fabric offers excellent weather resistance. Runner-specific hood offers customizable coverage. Packable design for easy storage and carrying while running. Bungees with adjustable cordlocks at the hood and hem adjust for a personalized fit. Raglan sleeves provide excellent range of movement.